The year was 1959. Our goal was simple: Produce the finest compressors known to mankind. Decades later, the goal remains the same. 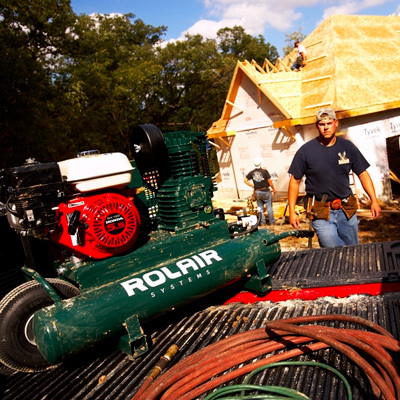 As a third-generation manufacturer located in the heart of Wisconsin, we've built quite a reputation for providing professional contractors with compressors of the utmost quality and craftsmanship. They appreciate our attention to detail, rugged performance and wide variety of options. But above all, they appreciate that our sole focus is compressors - nothing else. So if you're looking for a "specialize-in-nothing" company concerned with nail guns, power tools and sales gimmicks, go to a box house, my friend. If, on the other hand, you're looking to partner with a company built on decades of industry knowledge, experience and unparalleled customer service, welcome to Rolair.